A games development marathon which pitted teams against the clock to create a product from scratch has been held at Wrexham Glyndwr University – and will feature on Channel 5's The Gadget Show later in the year. The 72-hour Jamfuser session was held across the country by UK-wide games talent development programme Tranzfuser. During the session, teams completed against the clock to develop computer games from scratch, with their theme revealed by organisers at the start of the 72 hours. 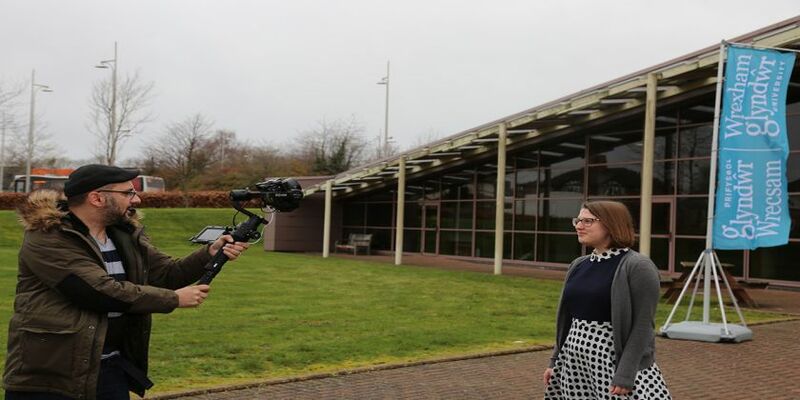 Glyndwr was selected as the primary location for filming due to winning the UK Games Fund's Hub of the Year award last October, and hosted teams from across the region – including several from the university’s own courses – as well as welcoming the production team from Channel 5’s Gadget Show. Find out more about Wrexham Glyndwr University’s BSc (Hons) in Computer Game Development.